These cookies were totally born out of necessity, which pretty much makes them amazing. Ok, I think I need to explain myself a bit here, right? See, here’s what happened. It started with an awesome dessert that I made for my column in Ami Magazine. The dessert actually has nothing to do with mocha, but I needed something pretty to anchor the treat in the bowl. I headed to the local candy store, and looked around till I came up with these mocha flavored chocolate lentils. The color matched perfectly to the style I was going for. I loaded up a big bag full of these candies and headed to the checkout. On a related note, I sometimes wonder if the checkout people in the various stores I frequent find my purchases bizarre. Like the Century 21 cashier who rang up my purchase of 1 of each napkin in the store. Just one. Those of us who are food stylists/photographers totally get it. But in the real world, people like to match. Same with the home goods cashier and the variety of plates. You get my point. It’s a weird job sometimes. Anyway. Back to these candies. They did exactly what I needed them to do, which was sit in the background and look pretty. But then the shoot wrapped up and I was left wondering what to do with a big back of mocha flavored lentils. Well, my mind went straight to cookies, as if often does. And that’s how I found myself in the kitchen, baking mocha cookies. And if you aren’t a food photographer who happens to have a boatload of mocha flavored M&M’s on hand? Well you can sub coffee flavored chocolate chips, or even cappuccino chips. I’m not picky. In the bowl of an electric mixer, cream together the butter and sugars until smooth. Add the vanilla and eggs, one at a time, beating well to incorporate after each addition. Dissolve the coffee powder in the boiling water and beat into the mixer. In a small bowl, sift together the flour, baking soda, salt and cocoa powder. With the mixer on low, beat in the dry ingredients mixture. Beat until just combined. Add the candies (or chips, if using) and stir until evenly distributed. Using a medium cookie scoop (or a heaping tablespoon measuring spoon) scoop the mixture onto the prepared tray(s). Remove from oven and set aside to cool for a couple of minutes before removing from tray. Those look delicious and so wonderfully chewy!! Gorgeous styling too! Simple but looks yummy! Also your photos are so great! These look awesome! Can’t wait to see your Ami features. These cookies are gorgeous. I love your photos!!! Thank you so much Aimee! I love the story about how these cookies were born! Also, great pictures! Thank you so much! Isn’t it funny how some awesome things are born from necessity? Wait. Stop. Rewind. There are mocha flavored CHOCOLATE LENTILS? Where do I get these! ? ! I need them in my life! Amazing! I got them at my local candy store- not sure if they’re available nationally. Try ohnuts.com! THank you! I want to as well, lol! Last night, I made cookies for an after-dinner treat. These cookies look AMAZINGLY delicious and I think I’m going to try them sometime soon! Check out Tales of an Overtime Cook . I would love to have a couple of these right now! Can you bring some for shabbos? I totally understand your buying habits. I often wonder what the cashiers around me are thinking! 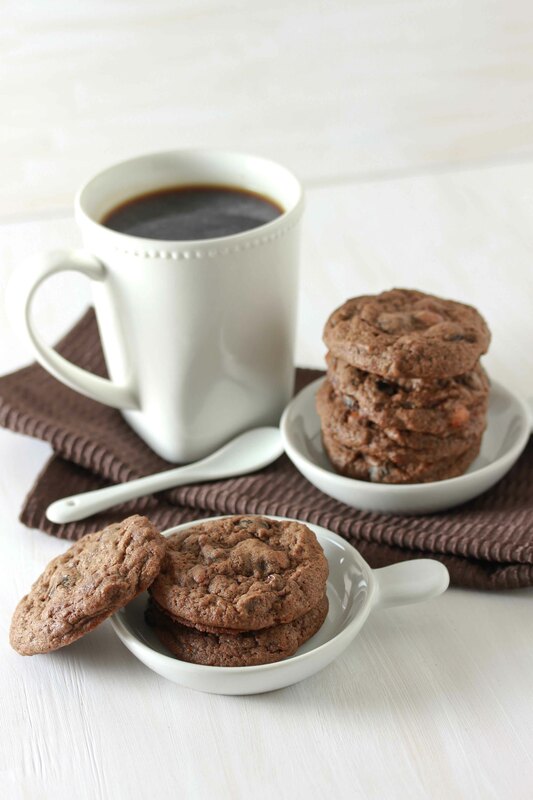 These cookies sound awesome…I wish I had a bag of mocha candies to munch on right now!!! Looks awesome…. what else is there to say about such a combo? where do you buy mocha lentils? I got them at oh nuts. Try their website. 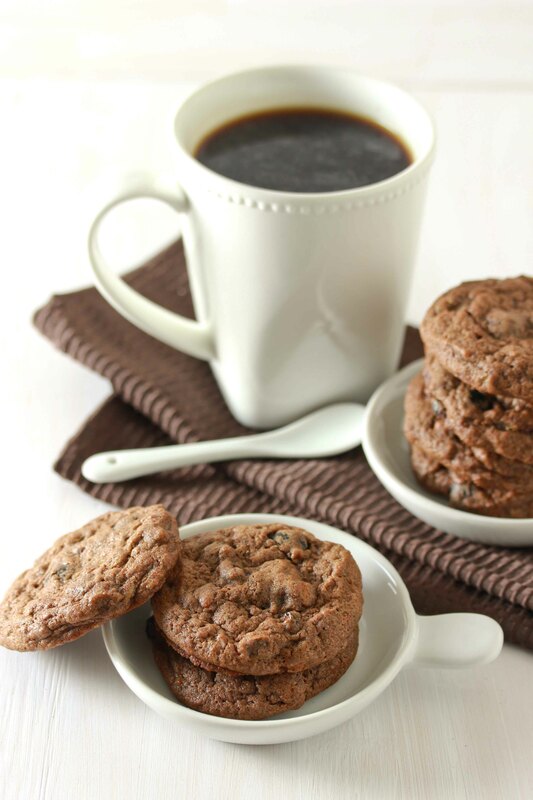 If you don’t find them, you can also try using coffee flavored chocolate chips or cappuccino chips from bakers choice. you are so creative! 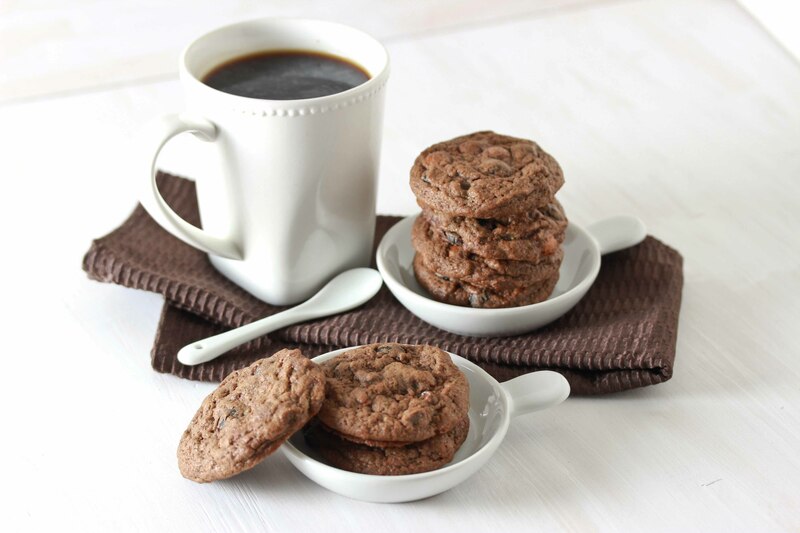 i have a whole bunch of your cookie recipes that are on my list to try and every day its gets bigger…. Thanks so much Leah! I hope you enjoy them! I have made these twice already and they are incredible. Thanks for sharing this recipe! Happy Purim! Can I sub oil ?